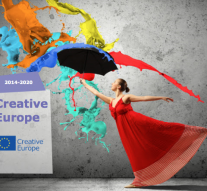 Creative Europe has recently launched a new call for promoting the European Audiovisual works online under the Sub programme MEDIA. This scheme is open to entities (private companies, non-profit organisations, associations, charities, foundations, municipalities/Town Councils, etc.) established in one of the countries participating in the MEDIA Sub-programme (see here for eligible countries) and owned directly or by majority participation, by nationals from such countries. Eligible activities are those consisting in assembling and delivering digital packages of European audiovisual works foreseen for online releases in countries where those works are not available on any legal VOD service. It aims at extending their availability and visibility on VOD services provided in European and non-European countries. Action 3: Support to innovative strategies and online tools for the circulation, distribution and promotion of European audiovisual works, including audience development initiatives focusing on innovative and participatory strategies reaching out to wider audiences with European films. This action is aimed at encouraging innovative strategies for distributing and promoting European audiovisual works. It shall aim at developing new business models or tools in order to improve the potential audience of European audiovisual works. It shall also aim at supporting online tools and/or databases facilitating the relationships between the various sectors of the European audiovisual industry. The action must start between the 01/09/2019 and the 01/01/2020. The duration of the action is 12 months. The total budget earmarked for the co-financing of projects is estimated at EUR 10.16 M.
Proposals must be submitted not later than 05 April 2019 at 12.00 noon (midday Brussels time) using the online application form (eForm).